Terroir. Not the level of Stella Artois, this (though, one for poets, I guess it at least rhymes). In fact, it’s quite the opposite of Stella and the mass market nature of the drinks industry. Terroir is from the French, terre: “land”. Specifically in terms of drink-making, people talk of terroir: how the environment, weather, land, and so on, all shapes the particular product that you consume. 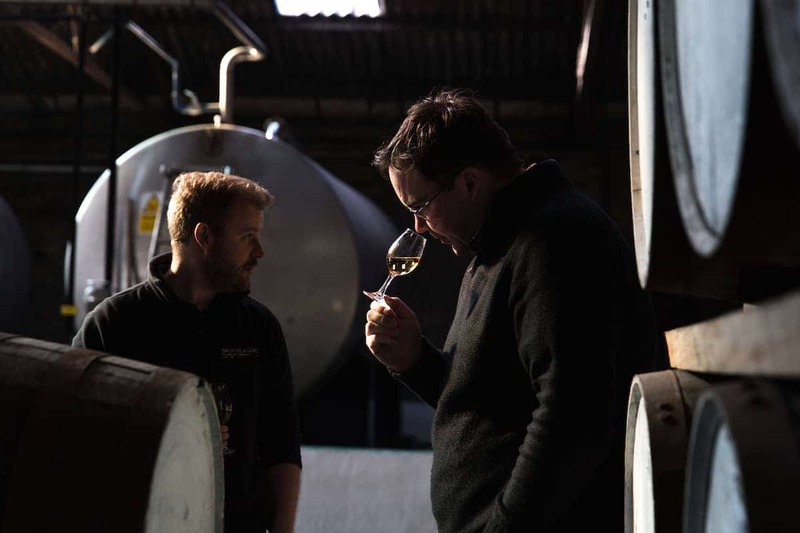 Regions bring different expressions to the wine grape, and therefore wine; so why not whisky? Why not, indeed. 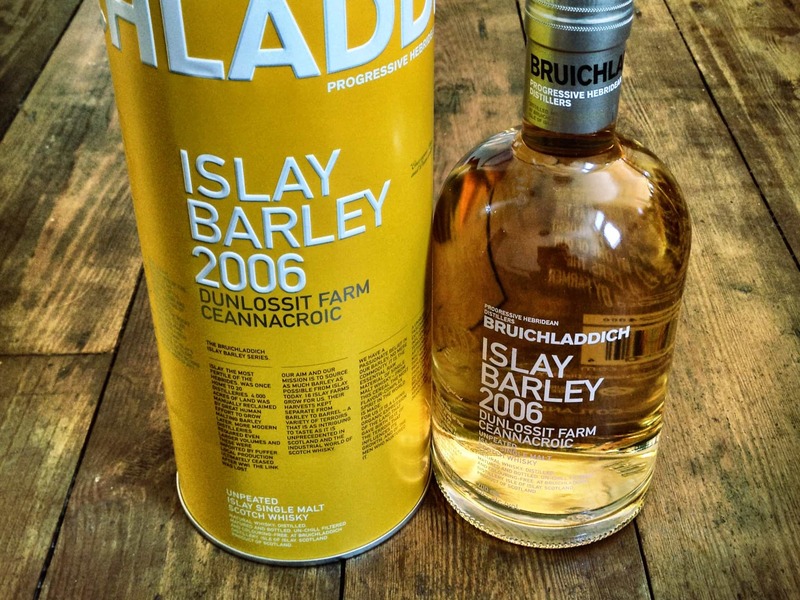 So the experimental folk at Bruichladdich took it upon themselves to distil a whisky where the barley comes from one farm, and one farm only (Kentraw Farm – one mile from the distillery); and where the entire production process takes place on one island. This is the first time this has been done for many years – of course, it used to be like this hundreds of years ago, but what you drank was possibly more ropey. Contrast this with most modern whisky production, which hauls in barley (and other grain) in from hundreds of miles away, stores the barrels in a variety of places, all under the direction of a huge corporation, and you start to really appreciate what Bruichladdich are doing. Especially so when you realise the impacts of such local-thinking on a small island economy. 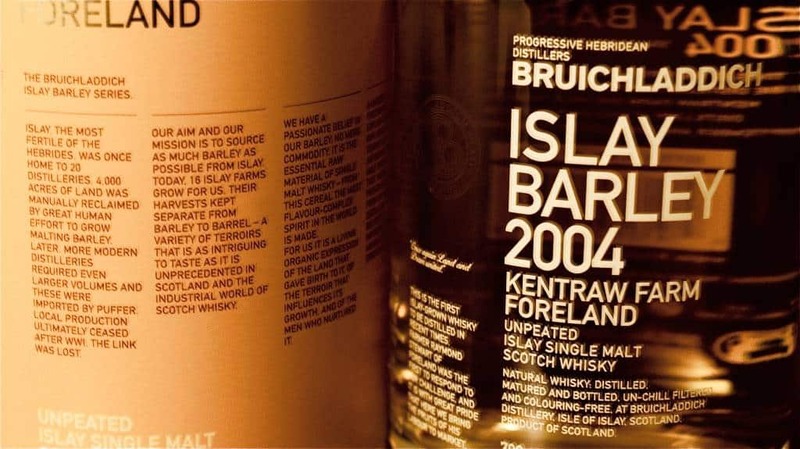 The final whisky is called Bruichladdich Islay Barley 2004 – Kentraw Farm Foreland, bottled at 50%. Colour: pale straw, very light indeed. Quite a young beastie, only being seven years old, so hasn’t been sitting in the wood for long. On the nose: thick, intense barley. A waft of baking pastry. A few herbal and earthy notes. Green tea. Clotted cream. A little citrus. In the mouth: Gentle. Immensely thick. The malted barley is incredibly prominent, and with a pleasant black pepper tang to it. Silky. A touch of oak and vanilla. There’s a lovely biscuity honey sweetness there. Not too much on the finish, but that’s okay, because it is very mouth-watering and warming, and you’re left with that sensation instead of the taste. 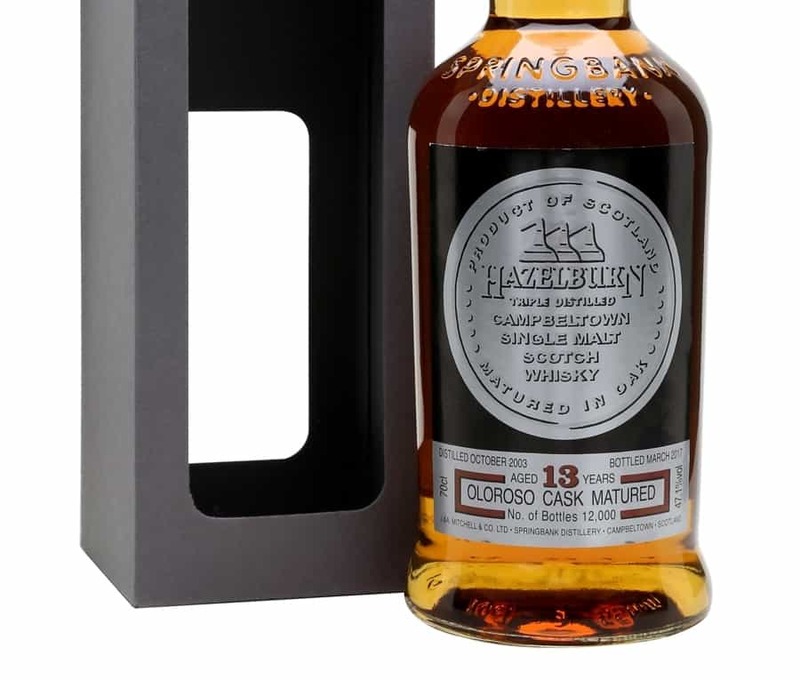 Very similar to The Organic, in my opinion: it’s not overly complex (that doesn’t seem to be the point here), but for a young whisky there’s an incredible amount going on; there’s something very precise yet again, very considered and very pure. This is a pure shrine to local barley; a worthy experiment, a wonderful experience. A very good whisky. A bottle will set you back £36.